Recently I was following a debate between a christian and a non-believer, and the non-believer said that he (I presume it was “he”) would require “irrefutable evidence” to consider changing his mind about God. It seemed like a rather stringent requirement to me, so I started thinking …. What things could we reasonably say we have “irrefutable evidence” for? That’s a very strong concept. Most statements in mathematics can be proved from the basic assumptions, and we might reasonably say these conclusions are “irrefutable”. Logical proofs can be shown to be formally valid, that is, the conclusions follow “irrefutably” from the premises. But proving the premises is more difficult. Trivial logical syllogisms can be considered to be “irrefutable”, but anything worth arguing over will have premises that are contested, and so the conclusions are not “irrefutable”. Scientific statements are certainly not irrefutable. Every scientific law can be shown to require change if new data is collected that contradicts it. So Newton’s laws were modified by Einstein, though they are true enough for most practical purposes. Much applied science (for example, conclusions in medical or environmental science) are shown to be true within statistical limits, which makes them far from “irrefutable”. 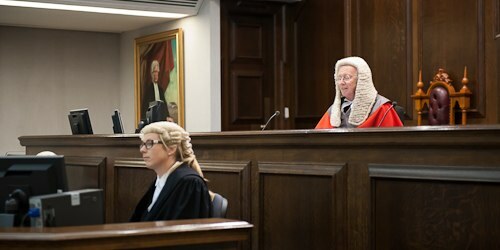 A jury in a criminal trial (in Australian and British law, at any rate) is required to only recommend conviction if the case against the defendant is proven “beyond reasonable doubt”. This is a hard requirement to apply (as I found out when I served on a jury that was divided about how certain we were of the defendant’s guilt), but it is certainly short of irrefutable”. The level of certainty for historical matters drops sharply as we go back in time and have fewer and less reliable evidences. Historians can only hope to know their conclusions are more probable than any alternative. Personal experience is one of the most certain ways of knowing – for example, I can be quite sure I visited Stonehenge 13 years ago. And all other forms of knowledge depend on personal experience – a scientist reading a dial or a computer output or a courtroom witness reporting what they saw at the time of the crime. Yet memory can deceive or fade, people can tell lies or be mistaken. So while I think I am sure, I may be wrong, and you certainly cannot be sure that what I say is true. So personal experience can be “irrefutable” to the person concerned, but will be far less certain to others. Some situations (e.g. a natural disaster or fire in a building) require instant action – pausing to reflect may be the last thing a victim does, whereas quickly choosing what seems to be the best option may give us some chance of escape. We make friends and choose spouses or lovers with far less than certainty about the outcome. Sometimes our judgment is bad. But most of us feel our choices are worth the risk – better not to die wondering! If God appeared to someone, it is possible this personal experience would be seen as irrefutable by the person who was blessed with that visitation. And if God exists and (as many believers think) we will all face him one day, that experience would surely be irrefutable. But right now, most of us don’t have that certainty, about either our belief or our disbelief. What level of certainty should we require for belief in God? It seems clear that “irrefutable evidence” is far too high a requirement for most things in life, including belief in God. Choosing the most probable option is generally the best we can do. Sometimes it is better to withhold judgment, but sometimes that is folly. Often better is to make the best choice we can now, and review later if we learn more. We only have one life (YOLO) and not putting off a decision to marry or believe in God may end up being the same as deciding against. Requiring “irrefutable evidence” is too conservative, though it may be a useful catchphrase if someone doesn’t want to think about belief in God. Some of us would prefer caution, some are impetuous. But making judgments on the information we have seems to be the sensible option, together with a willingness to reconsider if there is new evidence. Picture: originally from Flickr Creative Commons but I can no longer find it there. « Jesus: more than a baby!